Paul snuggles with Nathaniel before bedtime. 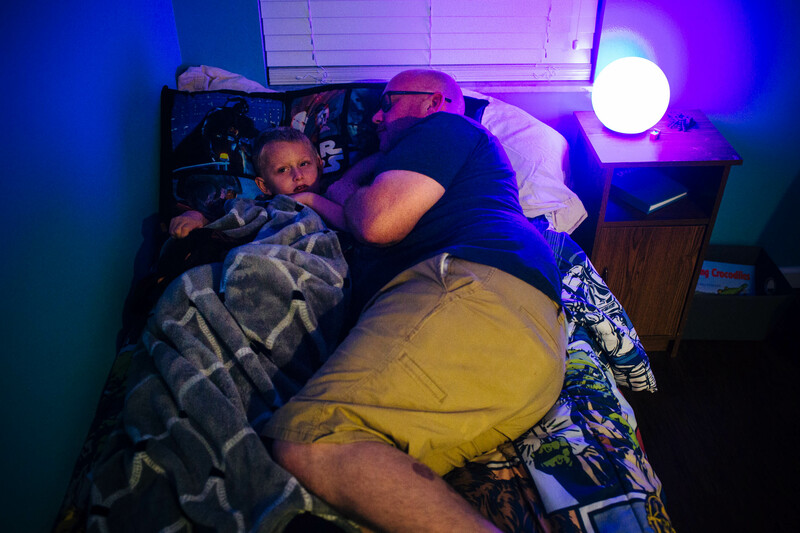 Both father and son are on the autism spectrum, and share a special bond. Meredith says Paul understands Nathaniel's needs in a way that few others do.